One of the main doctrines which almost all major Christian denominations subscribe to is, “We believe the Holy Scriptures, both Old and New Testaments, to be the inspired Word of God, without error in the original manuscripts, the complete revelation of His will for our salvation and the Divine and final authority for all Christian faith and life.” (Confessions of Faith, Reformed Baptist church). It is because of this widely accepted view of the Bible that the Church of Jesus Christ of Latter-day Saints is often accused of being non-Christian since “we believe the Bible to be the word of God as far as it is translated correctly. We also believe the Book of Mormon to be the word of God” (8th Article of Faith). In other words, while the LDS church teaches that the Bible is free from errors as it was originally written, our present versions can and do have errors in it, due to inaccurate translation, unfaithful copying, deliberate omissions, or unauthorized changes. Furthermore, the LDS church does not believe that the Bible contains “the complete revelation of [God’s] will for our salvation.” As such, we do not agree that the Bible is the “final authority for all Christian faith and life.” “We believe all that God has revealed, all that He does now reveal, and we believe that he will yet reveal many great and important things pertaining to the Kingdom of God” (9th Article of Faith). As such, the LDS church also considers the Book of Mormon, the Doctrine and Covenants, and the Pearl of Great Price as additional, God inspired scripture. But, perhaps even more important, is the distinction between what other churches mean by “inspired” and what Latter-day Saints mean by that word. One Christian theologian explains their understanding of this word thusly: “II Tim. 3:16 says all scripture is given by inspiration of God. The last five words (in the KJV) represent one Greek word, an adjective describing `all Scripture’ or `every Scripture.’ Literally the term means breathed out from God or God-breathed... Notice that it is the Scripture text itself, and not the human penman, which is so described. The process of inspiration, however mysterious in itself, terminates upon the text. The Bible is breathed out "from God" (as Peter confirms in II Pet. 1:21), and is not just the product of an inspired life or human genius such as the music of J.S. Bach or the plays of Shakespeare... The human will was not the cause of the prophetic Scriptures. Rather than being produced by the human will, they were spoken from God by men carried along by the Holy Spirit... Behind all human knowledge is God’s exhaustive and therefore infallible knowing from eternity to eternity. Because the Bible claims to be the Word of God written (1Cor. 14:37), infallible (Luke 1:4), non contradictory (John 10:35 and II Tim. 2:13), the Truth (Ps. 119:142), the very words of God (Matt. 4:4), life-giving (I Pet. 1:23-25), powerful, searching the heart (Heb 4:12-13), capable of informing the whole of life (II Tim. 3:16-17), and preserved in heaven forever (Ps. 119:89), it would follow from the character of its Author that it must be without error. This author defines the word "inspiration" as "That process initiated by God whereby he breathes the text of his revealed Word into and through the human recipient in such a way that the resulting text is exactly as he [God] would have it." This author also defines the "scriptures" (Bible) as the "written revelation from God." (see http://www.dtl.org/shield/inerrancy.htm). In other words, the Bible was written by God Himself, using mortal men as His writing instrument as they were moved upon by His Spirit to write, not their own words, but the exact words, phrases, and sentences, which God Himself intended to use. Thus, all the writers of the Bible, from Genesis to Revelations, were acting as scribes, writing only those things which God dictated to and through them. More than that, almost all Christian denominations teach that the Bible as we have it today contains everything God has revealed. As such, they claim it is complete as it presently stands. From this assertion, they therefore conclude that there is no more need for any additional scripture, such as the Book of Mormon. To their way of thinking, if the Bible was written by God, and is complete, then God could not possibly have written a second book of scripture that contains things which are not found in the first. Therefore, they further conclude that any book, other than the Bible, cannot be inspired of God. By using selected verses of scripture to bolster this ideology, their argument appears to sound logical and biblically based. The only problem with such a concept is that the Bible itself contradicts this assertion. The first, and most glaring error deals with their understanding of 2 Timothy. 3:16 which states that "All scripture is given by inspiration of God." Although that statement is true, the original writers of the New Testament did not consider what they were writing to be "scripture." There is not one place in the entire New Testament where the writer himself claims to be writing under inspiration, with the exception of the book of Revelation. The counter argument to this is that since their writings have nevertheless become “scriptures,” by definition they too must be inspired. whether the writers knew this or not. The problem with this argument is that these writings have only been deemed as "scripture" by man’s own determination. 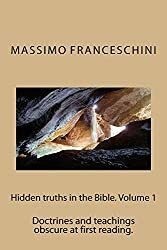 Which books were to be included in the New Testament and which were to be excluded were decided through man-made intellect during many contentious debates spanning hundreds of years. Furthermore, while Paul was alive there were many in the early church who didn’t accept his authority as an apostle, and disputed some of the things he wrote. Some questioned his credentials (I Cor. 9:2,3), some accused him of not measuring up to the stature of the original twelve (II COR 12:11,12), some accused him of being weak and unimpressive (2 Cor. 10:10), and others accused him of not living a Christian life (2 Cor. 10:2). Some demanded proof that Christ was speaking through him (2 Cor. 3:3) and others said that he was preaching false doctrine (Gal. 5:11). Therefore, at the time when Paul wrote his letters, there were Christians who didn’t accepted what he had written as being inspired. "This letter sends greetings from Paul and Silvanus and Timothy, to the all the believers in Christ at Thessalonia. We thank God for you continually in our prayers because of your steadfastness in the faith. We remember with fondness how you accepted what we preached to you and followed what we told you. You endured a lot of persecution because of this, but your faithfulness has been an example, not only to all the believers in Christ who live in Macedonia and Achaia, but in many other places as well. Now when we go there, we don't need to say anything because your behavior has already prepared them to receive our message. "We’re so glad that all of our effort in bringing you to Christ was not in vain. And when we first came among you, you know we didn’t ask you to provide anything for us. As God is our witness, you know we labored night and day with our own hands to take care of ourselves. Instead, we watched over you as a loving father does with his children. "But the Jews don’t like it because we preach the gospel to you Gentiles. They have not only persecuted you because of this, but we too have suffered much at their hands. We have wanted to come and spend time with you, to comfort you in your afflictions and strengthen your faith in Christ, but, alas, we have had so many problems that it is not possible for us to do that right now. Nevertheless, we miss you so much. And finally, when I couldn’t stand the suspense of how you were doing any longer, I sent Timothy to check on the status of your faith. I was afraid that maybe you had been led away from the gospel of Christ because of temptations. And if that had happened, I would have been devastated because all of our labor among you would have been for nothing. "So you can imagine how happy I was when Timothy came back and told me the good news about how faithful you still were and how you still have fond memories of us. Despite all the problems and suffering we’re going through right now, I was filled with tremendous joy at this news. Now I feel alive because of this wonderful news, and we pray even more that God will continue to help you increase in the faith. But, even so, we miss you greatly. We pray night and day that we might see your faces again." What preachers of modern Christianity want us to believe is that Paul didn’t write this from his own mind, or by his own will. Rather, they teach that these words were given by God Himself as He revealed them to Paul.. Moreover, many Christians claim that even the very words of this letter to the Thessalonians are to be considered holy, sacred and spiritual, good for doctrine, instruction and bringing man to a knowledge of salvation. Yet, when we look objectively at what Paul is actually saying here, we see no evidence to justify such a belief. It is unmistakably obvious that Paul is writing this letter from the deep, sincere feelings of his own heart toward those in Thessalonia who are very dear to him. At the time he wrote this, he was confined in prison, held down by chains. His heart was heavy with sorry, and he greatly feared that perhaps the saints he loved so much had strayed from the gospel of Christ as he had taught it to them. When word reached him that they were still faithful to the teachings of Christ, he wrote this letter to express his joy and relief. In the remaining two chapters he admonishes them to remain faithful to the things he had already taught them when he was preaching in their presence. When read in it’s entirety, as it is actually written, rather than taking a verse here and there out of context, it is extremely hard to make the case that Paul was just a scribe, jotting down holy revelations from heaven as God moved his pen. In fact, Paul didn’t write much of his own letters. Rather, he had others do the actual writing as he dictated his thoughts to them. However, he sometimes did give his letters a personal touch by writing the last couple of verses himself. These were generally salutations and greetings to those who lived in the city where the letter was being sent. (see I Corinthians 16:21, Colossians 4:18, 2 Thessalonians 3:17). The least scriptural letter Paul wrote was to Philemon. It is only twenty-five verses long, contains no doctrine, and is very personal. Yet this is also considered to be “scripture” by Christians. A slave by the name of Onesimus had run away from his master, Philemon, and went to Paul who was in prison. From what we can gather, Paul converted Onesimus to the gospel, who then stayed and faithfully cared for Paul. Apparently Paul finally told Onesimus that he had to return to his master, but the servant was afraid that Philemon would treat him harsely for running away. Acting as a mediator, Paul sent Onesimus back to Philemon with this letter, which entreated the slave owner to deal kindly with the returning servant. He tells Philemon that Onesiumus is like a son to him, and expects the servant to be treated as such. He tells Philemon that if he has lost any money because of not having the slave, that he, Paul, will repay it. He then reminds Philemon that he owes his life to Paul, not so subtly pointing out that Philemon has a debt he also owes the apostle. To say that Paul was moved upon by God to do the righteous thing by sending Onesimus back to Philemon, his rightful owner, and to do everything in his power to affect a peaceful reconciliation between the two men would certainly be justified. But to say that this letter was written by God Himself, through the medium of Paul, and that every dotted “i”and every crossed “t” is exactly as God intended and even the precise placement of words was divinely made, is to believe something that is not supported by the text itself. To further state that this letter was not “produced by the human will” nor “the product of an inspired life” contradicts Paul’s stated reason for writing the letter. Consider some other examples. In his letter to the Romans, Paul began his writings by saying, "First, I thank my God through Jesus Christ for all of you because your faith is being reported all over the world. God, whom I serve with my whole heart in preaching the gospel of his Son, is my witness how constantly I remember you in my prayers at all times; and I pray that now at last by God’s will the way may be opened for me to come to you. I long to see you so that I may impart to you some spiritual gift to make you strong, so that you and I may be mutually encouraged by each other’s faith. I do not want you to be unaware, brothers, that I planned many times to come to you, but have been prevented from doing so until now, in order that I might have a harvest among you, just as I did among the other Gentiles" (Romans 1:8-13). Are we to believe that it was God, rather than Paul, who was saying this to the Romans? At the end of this letter we read, "Timotheus my workfellow and Ucius, and Jason and Sosipater, my kindsmen, salute you. I Tertius, who wrote this epistle, salute you in the Lord. Gaus mine host, and of the whole church saluteth you. Erastus the chamberlain of the city saluteth you, and Quartus a brother. May the grace of our Lord Jesus Christ be with you all. Amen" (Romans 16:21-24). Are we to believe that these words of greetings and salutations to friends are really God’s holy revelation to man? To the Ephesians Paul wrote, "But that ye also may know my affairs, and how I [am] do[ing], Tychius, a beloved brother and faithful minister in the Lord shall make known to you all [these] things, whom I have sent unto you for the same purpose, that you might know [of] our affairs, and that he might comfort your hearts. Peace be to the brethren and love with faith from God the father and the Lord Jesus Christ. Grace be with all [of] them that love our Lord Jesus Christ in sincerity. Amen." (Ephesians 6:21-24). Are we to believe that this greeting was not the product of a righteous and inspired life? And what about this? "Tychicus will tell you all the news about me. He is a dear brother, a faithful minister and fellow servant in the Lord. I am sending him to you for the express purpose that you may know about our circumstances and that he may encourage your hearts. He is coming with Onesimus, our faithful and dear brother, who is one of you. My fellow prisoner Aristarchus sends you his greetings, as does Mark, the cousin of Barnabas (you have received instructions about him; if he comes to you, welcome him.) Jesus, who is called Justus, also sends greetings. These are the only Jews among my fellow workers for the kingdom of God, and they have proved a comfort to me. Epaphras, who is one of you and a servant of Christ Jesus, sends his greeting. He is always wrestling in prayer for you, that you may stand firm in all the will of God, mature and fully assured... Our dear friend Luke, the doctor and Demas send greeting. Give my greetings to the brethren at Laodicea and to Nympha and the church in her house" (Colossians 4:7-15, NIV). Are we to believe that this greeting was not produced by any human will? And what about Paul’s second pastoral letter to Timothy? Consider these written words: "Do your best to come to me quickly, for Demas, because he loved this world, has deserted me and has gone to Thessalonica. Crecens has gone to Galatia, and Titus to Dalmatia. Only Luke is with me. Get Mark and bring him with you, because he is helpful to me in my ministry. I sent Tychicus to Ephesus. When you come, bring the cloak that I left with Carpus at Troas, and my scrolls, especially the parchments. Alexander, the metalworker, did me a great deal of harm. The Lord will repay him for what he has done. You too should be on your guard against him, because he strongly opposed our message. At my first defense [before the judge at my trial] no one came to my support. Rather, everyone deserted me. May it not be held against them" (2 Timothy 4:9-16, NIV). When we read what Paul wrote in context, it is hard to imagine that this is hallowed revelation directly from heaven instead of believing that Paul wrote this from the depths of his own heavy heart. By pointing out these personal comments of Paul, we don’t mean to infer that the scriptures are not inspired by God. There is no doubt that Paul was a man filled with the Holy Spirit, but to say that his writings were not the result of his own deliberate thoughts, but are the very words which God Himself uttered through the pen of Paul requires a lot more than a mere stretch of the imagination and a blind eye to what is actually written in the Bible. In several places, Paul talks about how he received his knowledge about Jesus Christ directly by revelation from God (see Galatians 1:12, 2:2, Ephesians 3:3). Paul knew the gospel inside and out, and he preached it vigorously. When it came to explaining, exhorting, expounding, and emphasizing the doctrines of Christ, there was no one equal to him. To say that he wasn’t guided by the Spirit of God as he went about proclaiming the gospel contradicts what he himself said. To say that his letters are “profitable for doctrine, for reproof, for correction, [and] for instruction in righteousness” is clearly true. But to say that what Paul wrote was not the result of his own, conscious effort, based on his own knowledge of God’s ways, that his letters are not even his own words but those of God Himself, and that the very structure of the sentences themselves are sacred, holy revelations from heaven to man is not supported by the Biblical record. To understand the true nature of the Bible’s inspiration, we must first understand why Paul wrote what he did. Every letter was written to believing Christians. The great majority of them were written for the purpose of correcting false doctrine or practices that were occurring among the saints. Paul was a preacher and an evangelist. As such, his letters were sermons, written out of deep concern for the spiritual welfare and safety of those whom he had brought to Christ. 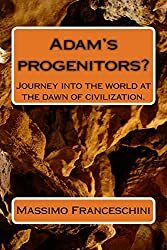 The letter to the Romans was mostly to correct the false claims of Christian Jews who firmly believed that converted Gentiles should be circumcised and observe the Law of Moses. He therefore devoted much of his comments comparing the law of Moses to the law of Christ, tring to help the Jewish Christians understand the differences between the two. The first letter to the Corinthians was written because Paul heard there was much contention and disputing among them, which was something that bothered him greatly. Since he couldn’t travel there to personally resolve the arguments, he sent them a letter to give them some direction and counsel as sort of a quick-fix, stop-gap solution, until he could personally arrive and resolve the problem. Also, Paul learned that one of the members of the church in Corinth had had a sexual affair with his "father’s wife." Worse yet, some of the other members of the church were bragging about his exploits. Paul was livid with outrage at this behavior, and strongly condemned both the adulterer and those in the church who saw nothing wrong with what had happened. In his letter he firmly denounced this event, explaining why it is wrong for Christians to do such things, gave orders for the man to be expelled from among the membership of the church, and warned the saints never to allow such a thing to happen again. In 2 Corinthians, Paul apologized for the need to use such strong words in his first letter, complimented them on how well they had followed his instructions in dealing with immorality among the membership, and also gave them further instruction on how to handle the person who was expelled for adultery. The letter to the Galatians was specifically written because many of the churches were following false doctrine and failing to live the gospel as he had taught them. The reason for this falling away was because of false teachers within the church. One by one he disputed the various heresies, explaining why they are wrong and exposing the motives of those who were leading the people astray. The letter to the Philippians was written to praise them for their faithfulness in the gospel and to admonish them to remain steadfast in the faith. He did likewise with the Colossians and Thessalonians. His letters to Timothy and Titus were written to give them counsel and advise on how to carry out their duties as a bishop. Five of the thirteen letters were written from prison, and all of them were written in place of him being there in person (1 Timothy 3:14). As we read Paul’s letters we see a number of themes being repeated many times. Besides talking about faith, grace, justification, salvation, the resurrection, circumcision, and the Law of Moses, he also constantly admonishes the saints to show “brotherly love” to each other and to non-Christians. In nine of his letters he lists the virtues of a Christian (love, patience, kindness, temperance, etc.). In nine of his letters he uses the phrase “good works.” In almost every letter he talks about remaining faithful and being steadfast in the gospel. The idea of obeying authority is another common theme that is often repeated. In almost every letter he counsels the saints to avoid evil, often listing specific vices. The most common evil which he mentions is “fornication.” In almost every letter he warns against dissent and false doctrine, and ten times he talks about avoiding or rejecting people who don’t live righteously. The most common theme of all concerns the second coming of Christ. From not only his writings but those of other apostles, it is clear that they expected Jesus to return to earth in power and glory during their lifetime. Paul was constantly reminding the saints to prepare themselves for that future event which he felt was quickly drawing near. As we read Paul’s letters, rather than seeing God revealing new and important doctrines with each epistle, it’s more like listening to a broken record. Using different wording and different examples, Paul repeats himself over and over again as he preaches the same message to different people, adapting his words to their needs and circumstances. Rather than seeing God’s personality coming through, we clearly see Paul’s character as he battles for the truth. At times he is feisty, logical, sarcastic, humble, boasting, grateful, complaining, demanding, and patient. We can tell when he’s filled with joy and happiness and we can likewise tell when he’s feeling low with sorrow. But perhaps the most damaging case against the idea that the Bible was written by God rather than man, is when Paul gives his own advise, instead of the Lord’s. To the Corinthians he wrote, “I say this as a concession, and not as a commandment. I wish that all men were as I am [single and unmarried]... to the rest I say this (not the Lord) if a brother has a wife who is not a believer, and she is willing to live with him, he must not divorce her.... Now, about virgins, I have no commandment from the Lord, but I give a judgment [my opinion] as one who by the Lord’s mercy is trustworthy. Because of the present crisis, I think that it is good for you to remain as you are” (1 Cor. 7:6,12,25,26, NIV, emphasis added). Notice that this is not the Lord’s revelation but Paul’s own personal thoughts on the matter. Although this is the clearest illustration, there are several other places in the scripture which infers that Paul is expressing his own opinion or advise concerning certain rules which he feels the saints should follow. If the letters which Paul wrote were not his own words but those of God Himself, why are Paul’s personal ideas recorded in them? Rather than seeing Paul’s pen being guided by God in every word he wrote, what we actually find is that he is writing nothing else than what he had already preached. We can safely assume that all of his preaching was inspired by God, but the Bible doesn’t contain everything he taught, as evidenced by the many times he only alludes to or makes passing reference to certain doctrines. In several of his letters he specifically states he will expound upon his writings when he is able to be with them. It was this concern of his for the people he had converted to the gospel which motivated him to write what he did. What we therefore find in his letters is a reflection of the thoughts and feelings he had concerning the gospel . However, we need to understand taht what we have in the Bible is only a brief summary of what he taught. Notice that today’s biblical scholars admit they don’t know what Paul is talking about! As such, they can only guess at what he meant. If the Bible is direct revelation from heaven, providing us with God’s complete word, why are we left with this gap in knowledge which the ancient saints apparently had? Furthermore, if the early saints didn’t understand what Paul meant, or had questions about something he wrote, they could personally ask him or one of the other apostles to get clarification. But, who do we ask today to explain what the scriptures mean? According to modern Christian thought, God cannot give us the answer to this or any other question we might have because they say He has completed telling us all that He has to say. They further teach that, because we have the Bible, we no longer need divine revelation to guide us. All we need is to read and study the Bible. That means there is no one we can go to for inspired answers, and we are left to use our own human intellect to guess and speculate at what the early saints clearly understood. Paul told Timothy, "Whereunto I am ordained a preacher, and an apostle, (I speak the truth in Christ, [and] lie not;) a teacher of the Gentiles in faith and verity" (1 Timothy 2:7). When was Paul ordained? Who ordained him? Where and why was he ordained? Many people believe Paul was ordained by God to be an apostle at the time he had his vision on the road to Damascus. However, neither Paul nor any other writings in the Bible make that claim. Therefore, any explanation people may give concerning Paul’s ordination are mere private interpretations without any support from God’s revealed word. Since Paul could easily provide the details of his ordination, we see that the Bible again gives us less information than what the early Christians had. Yet, despite this fact, fundamentalist Christians still claim that the Bible is complete in it’s revelation. Some people argue that because such details are not important to our salvation they aren’t necessary for us to know. But if that is true, they why do we have Paul’s request for Timothy to bring him his cloak which he left at Troas as well as his scrolls, especially the parchments? (2 Timothy 4:13) Certainly that has nothing to do with our salvation either, yet it’s in the Bible. One would think that the question about Paul’s ordination is much more relevant to us than Paul’s personal needs. But even in important matters, the Bible provides us with incomplete information. In every city he preached Paul ordained elders, and he also gave Timothy advise on the ordination of elders. Yet, while the Bible gives us the qualifications for the office of a bishop and a deacon, it gives us almost nothing concerning the office of an elder. And what are the duties of a deacon and an elder? Again, the biblical record is more than incomplete on these important matters. Since the New Testament is made up primarily of letters which Paul wrote to various churches, and these are considered to be God’s revealed message to man, then all letters which Paul wrote, especially if they give Christian counsel and instruction, should likewise be considered as divinely inspired scripture. And that is exactly what Christians believe, even when all Paul talks about is asking Philemon to graciously take back his run-away servant, Onesimus. Supposedly 1 Corinthians is the first letter Paul wrote to the Corinthians. (2 Corinthians being the second letter he wrote to them.). Yet in this “first” letter Paul reminds his readers, “I wrote unto you in an epistle not to company with fornicators... But now I have written [again] unto you.” He cannot be refering to the current letter he’s writing because it isn’t until the 5th chapter of this letter that he first talks about such a subject. Then, which epistle is he referring to? Concerning this verse, Matthew Henry in his commentary writes, "Some think this was an epistle written to them before, which is lost. Yet we have lost nothing by it, the Christian revelation being entire in those books of scripture which have come down to us, which are all that were intended by God for the general use of Christians, or he could and would in his providence have preserved more of the writings of inspired men." It is interesting to note, that even though fundamentalists Christians believe that Paul was inspired by God to write his letters, and that the very words themselves are “God-breathed,” yet, when confronted with an obvious reference to missing inspired scripture, they very casually pass it off saying that it doesn’t matter, claiming that since Paul has already mentioned this subject in his other letters we still have all of God’s word. However, that contradicts their other assertion that "God has carefully preserved this text down to our own day.... Jesus’ claim in Matt. 5:18 that not the smallest letter or distinguishing mark on a letter will pass away until all be fulfilled." Yet, dispite this assertion, they freely admit that an entire inspired epistle is missing. However, if their claim that we haven't lost anything because Paul has already mentioned this subject in his other letters is a valid argument, then why do we keep all of Paul's other letters which likewise tell us to avoid fornication? Using their own form of reasoning, if a subject is mentioned in one epistle, it isn’t needful for us to have yet another letter telling us the same thing over again. And if we carry that line of reasoning even further, we can say that all we need is just one account of Christ's life instead of having four gospels. Yet these same people defend the repeative teachings of the Bible by saying that God must have intended for His word to be written that way. However, having said that, they offer no scriptural justification for making such a claim. As such, their statements are based solely on their own personal opinions and biases. But this isn’t the only letter that’s missing. Paul told the Ephesians "How that by revelation he made known unto me the mystery; (as I wrote afore in few words)" (3:3). When did Paul write a "afore in few words" to the Ephesians concerning how he had learned about “the mystery” through revelation? There is no mention of this in the first two chapters leading up to his comment. Instead, what we see is that he simply reminds his readers of what he had previously “wrote” to them, rather than repeating the story again. Yet, even though we don’t have this other letter to the Ephesians, most Christians still cling to the idea that the Bible is God’s complete word. At the end of his letter to the Colossians Paul told them, "And when this epistle is read among you, cause that it be read also in the church of the Laodiceans; and that ye likewise read the epistle from Laodicea." (4:16). Paul directed the saints in Colosse that, when they had finished reading his letter to them that they were to share it with the saints in Laodicea. But then he commanded that they should "likewise read the epistle from Laodicea." Obviously, Paul had written a letter to the Laodicians as well, but that one isn’t in our Bible either. To the Philippians, Paul wrote, "Finally, my brothers, rejoice in the Lord! It is no trouble for me to write the same things to you again, and it is a safeguard for you." (Philippians 3:1, NIV). In this statement, which appears in the first verse of the third chapter, Paul is reminding the Philippians of what he had previously written to them, and doesn’t apologize for repeating himself. In fact, he clearly states that it is good for them to hear him say the same thing again. The problem with this comment is that Paul hasn’t been saying the same thing over and over again in the first two chapters of this letter. So how can Paul be repeating himself unless this current letter is reciting something he had previously written to them at a different time? Furthermore, if Paul felt it was for their saftey to say the same things over and over again, that seems to contradict the explanation that it isn’t important for us to have any of these missing epistles on the theory that we already have the same teachings in other writings and have therefore lost nothing. But, more importantly, how can the Bible be complete when we are missing at least four epistles written by Paul? Then there is the epistle of Jude. He reminded the Christians about "the angels which kept not their first estate but left their own habitation" (verse 6).Who are these angels Jude is refering to, and what was their "first estate"? Jude doesn't explain this. However, it appears that he doesn't need to explain this to his readers because they are already familiar with what he is talking about. He also told them how "Michael the archangel, when contending with the devil, he disputed about the body of Moses, durst not bring against him a railing accusation, but said, The Lord rebuke thee" (verse 9). Again, we have no clear understanding of what Jude is referring to, yet, clearly, his readers understood what he meant. He also stated, "And Enoch also, the seventh from Adam, prophesied of these, saying Behold cometh with ten thousand of his saints to execute judgment upon all and to convince all that are ungodly among them of all their ungodly deeds" (verse 14-15). This prophecy of Enoch is not found in our Bible, even though an apostle of the Lord Jesus Christ quotes from it to make his point. 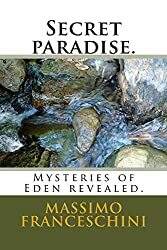 In fifteen verses Jude gives us only passing mention of fallen angels and their "first estate," Michael the archangel disputing about the body of Moses with the devil, and a prophecy of Enoch. The early saints obviously understood what he was talking about, but with no other no details or further information in our Bible than these short comments, we are left to guess and wonder at what the early saints fully understood. But how can this be if the Bible is complete? How can this omission of details occur if it is God Himself who wrote these words as a record for all generations throughout time to use for their spiritual learning? How can we say that not one jot or tittle of God’s words have been lost when we don’t have as much information now as the early saints had? And what if we found a book that had this information in it? Would Christians rejoice to have this further clarification? They couldn’t and still maintain their claim that the Bible is complete as it is. Therefore, with both logic and an abundance of factual evidence to prove otherwise, Christians often must resort to using tortured explanations with very little biblical support, and give contradictory and implausible answers to justify their belief in a complete Bible. It’s sounds so exalted to say that God Himself wrote every word in the Bible. It sounds so magnificent to say that the Bible is not the product of mere mortal man, even if they were righteous men of God. It sounds so satisfying to say that the Bible is the complete and final word of God to man. It sounds so comforting to say that God has not allowed even one jot or tittle of His word to be lost, mistranslated, or changed. The only problem is, the Bible clearly demonstrates that none of these things are true.